Shale water portrait — Portraits, Corporate Storytelling, and Reportage Photography based in Washington, D.C. I had the opportunity yesterday to visit with and photograph entrepreneur and director of the Shale Water Research Center Ross Tomson for a Houston Business Journal story. I almost always enjoy photographing scientists because they're typically more giving of their time and let's face it - their lab is full of cool stuff to use as props. 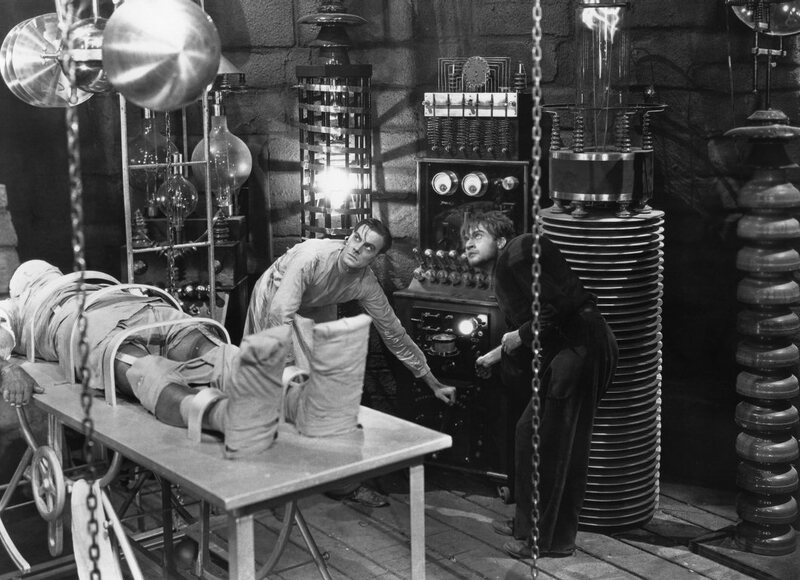 While Tomson's lab wasn't exactly like Dr. Frankenstein's, it did have a flask with cloudy water in it, something you don't normally find in the office of a CEO. I started with a straightforward portrait, one with very little shadows. I lit it using a strip light on either side of the subject and then using a softbox in front to illuminate his face. I don't think I quite have this mastered so I won't be showing it here. I have a friend of mine who uses light like this to amazing effect, but I'm still working on it. The second set I fell more into my comfort zone, which is to make portraits with heavy, stagey chiaroscuro lighting. I threw a 10 degree grid on the flask, and used one strip light to light Tomson. What does Tomson do, you ask? 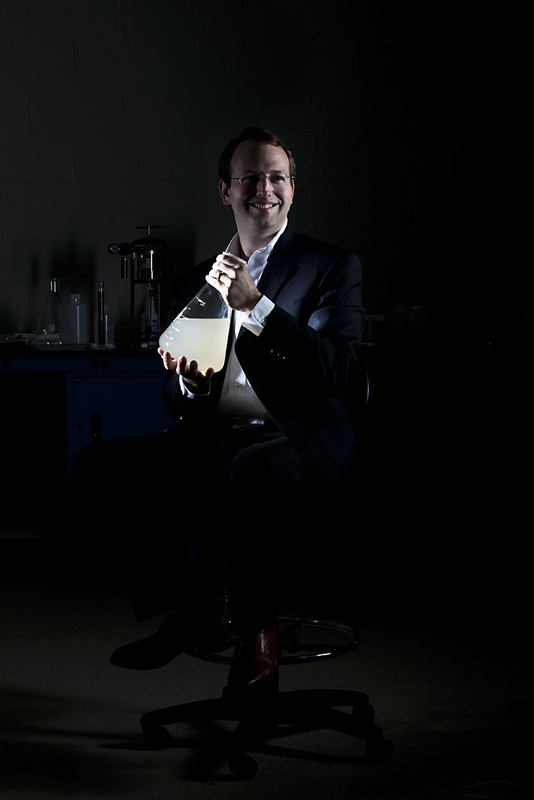 Basically, he researches and creates more environmentally-friendly shale water used for fracking. According to Molly Ryan's story in this week's Houston Business Journal, the company creates research, "to allow energy companies to reuse more water when drilling in shale formations, which in turn, will reduce companies’ water treatment costs, water purchasing costs and environmental concerns. Energy companies pay $100,000 for an annual membership to the center, which gives them access to research before it is published and allows them to shape the course of the center’s research initiatives."